is there way to compare a result of same filed and change the colour of repeated result ? What is your data source? For example, Oracle 11g2 or SQL Server 2016? I ask because they support LAG and LEAD functions. Notice that there is a column called ID_PREV for the previous value using LAG, and ID_NEXT for the next value using LEAD. With these values, you can use them to change the Highlight rules of your report item to change color accordingly. Now, if your data source does not support these types of functions. You can do this a Computed Column of your data set. You would initialize a variable in the beforeOpen event to keep the previous value. Microsoft SQL Server 2014 has LAG and LEAD. You won't be able to create a Highlight expression without the extra field whether it's from the database, as a computed column, or save in a variable. If you are only looking at the previous row value and not all previous rows before the current one. Then I was able to accomplish this using a computed column in the data set. That's expected. The first row should be blank (or null) because we initialized the variable previousValue to null, and it's the first row where there is no previous value. You can initialize it to 0 like what a database would return. What value are you expecting for the first row that does not have a previous value? your example is exactly what I needed, I have created a new computed column and replaced my row["myrow"] with row["DATAROW"] in the script but it doesn't seem it is working , not able to attach my rpt design here to show what I have done ( is there a trick to do that). First, when you created the computed column, did you change "DATAROW" to the name of your own data row name. As a result, you should see the column compute correctly via the data preview (see attached image). If you are not seeing the correct results in the data preview, could you please let me know what data type your "myrow" is? Or provide a sample screenshot of a few data rows that we are checking against to build an example against. If the computed column is calculating correctly, please make sure that your highlight rule has been applied correctly to the table (see attached image). I just saw that you made post #11 while I was writing post #12. Per the highlight rule suggestion, instead of selecting the table row, select the data cell element you wish to have the color change and apply the same highlight rules. This should generate the results you are looking for. Sounds like you have a report theme, style, or another highlight rule that is conflicting with the results. As for uploading the design file, can you open a ticket with support? do you mean open a ticket in here or opentext support? Sorry, I meant open a support ticket with OpenText support to investigate. 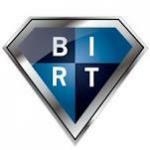 However, what version of BIRT are you using? I will test against that version to verify on my side. Also if you think it's a bug, please test against a newer (prefer latest) version of BIRT to verify the issue doesn't still occur. and I do not have any issues generating the output (See attached image and example report). If you cant post your design file, can you post an example that replicates the issue? Or change my example to replicate the issue you are seeing? I have seen your sample and I agree it is just strange that I cant get it working. To attach a design file, first select the "More Reply Options" button in the Reply window. This should bring you to a more advanced input editor. Click the "Choose File" button to select your design file. Once selected, click the "Attach This File" button to attach the selected file. If you need to add additional files (such as images), repeat the process of "Choose File", then "Attach This File" buttons. Select the "Add Reply" button to complete the post. Looking at the sample you provided, I extracted the PO_Number column from the PDF and copied the computed column code in your design and they work perfectly together. My only thought is that perhaps the PO_Number column is coming back differently for each row from the database (perhaps the data has spaces after it?). This second suggestion uses a different comparison method. In theory this method "could" generate invalid results, however it is a good test to try if the suggestion above fails to work. I will do this on the table column. 2. create aggregation of running count based on the group. 4. second highlight. if aggregation greater than 1 color blue.